…or… The Beginning Of The Next One. 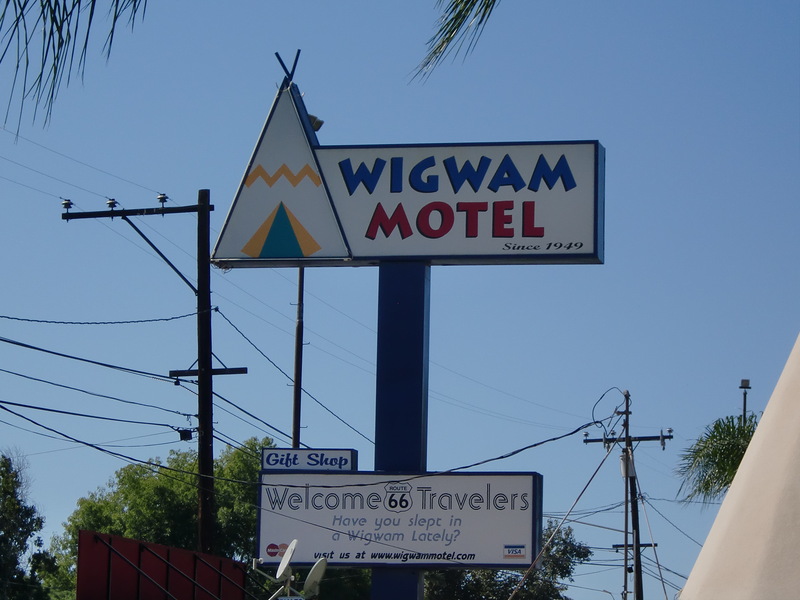 At the edge of the sprawling, multi-county mass of people known to the world as “Los Angeles”, we paused for the night. 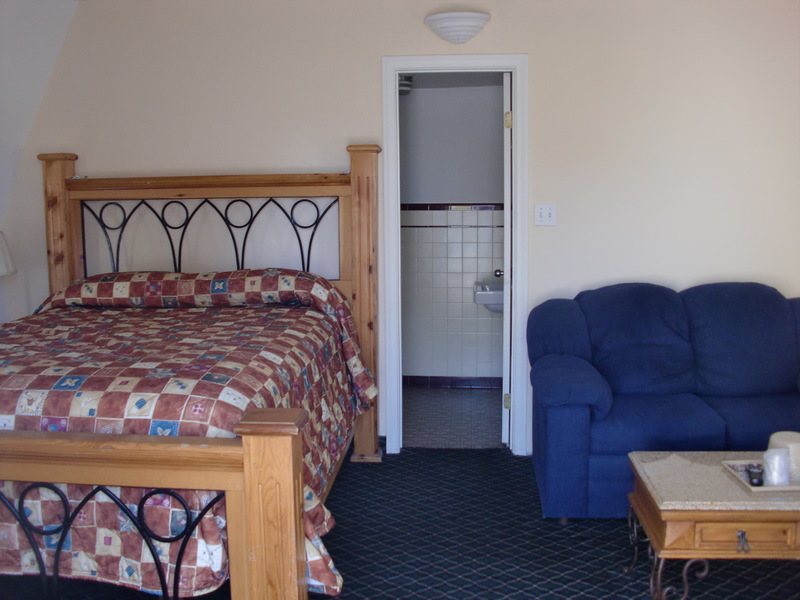 We wanted one night’s sanity in a regular hotel before jumping into our last day on Route 66. 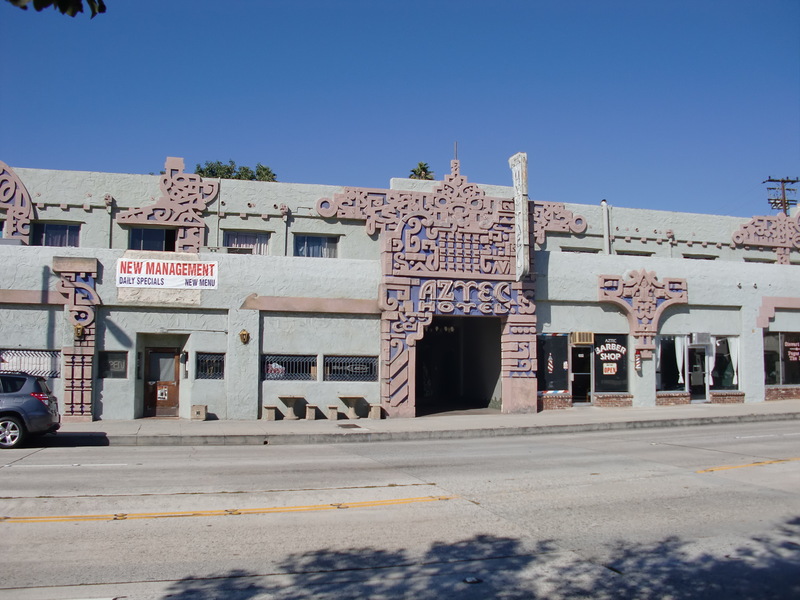 We found this place. 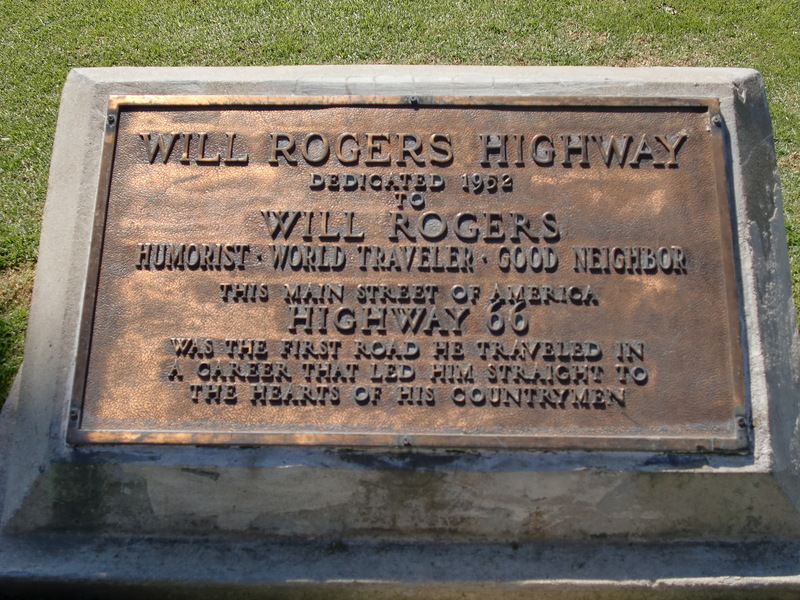 An icon on the Mother Road, it is as neat, clean and tidy as the day it first opened. 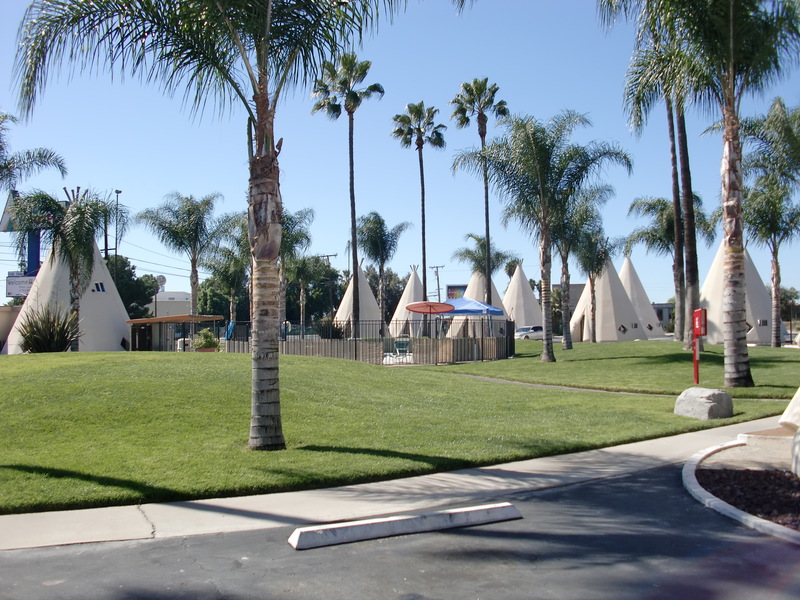 It has a series of wigwam rooms in a park like setting. 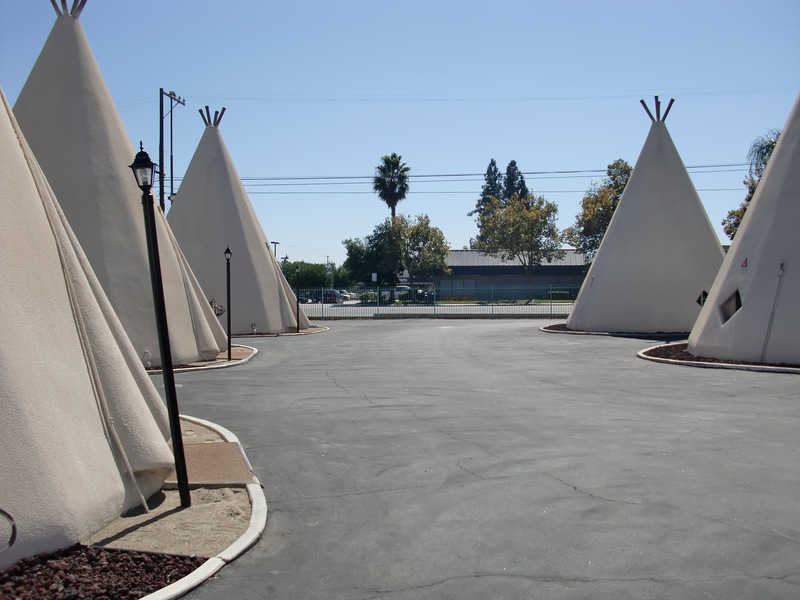 Maybe the original dwellers of this type of housing didn’t have a paved over prairie for their homes, but I’m sure they looked the same inside. Tired and hungry we stepped back in time for a meal at a new place on the block. They were celebrating their millionth burger sold. 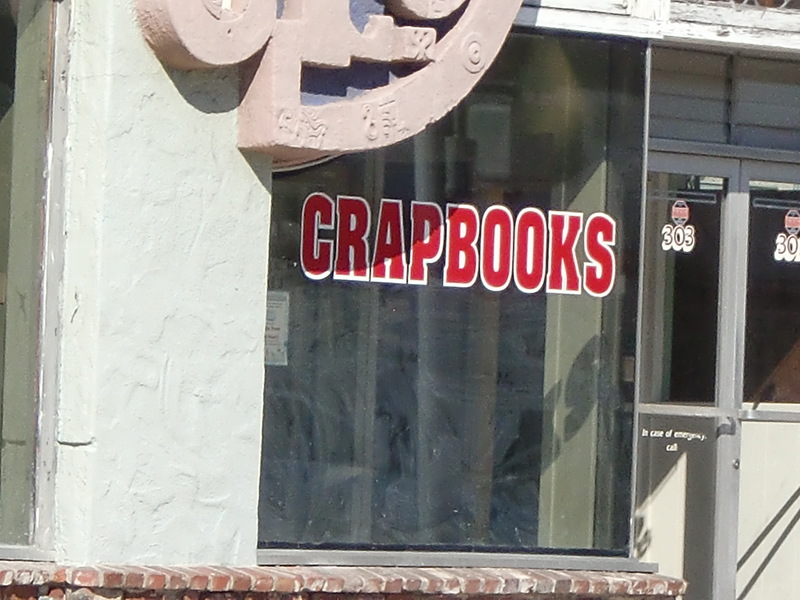 Can’t beat the price and this guy inside made us feel welcome. 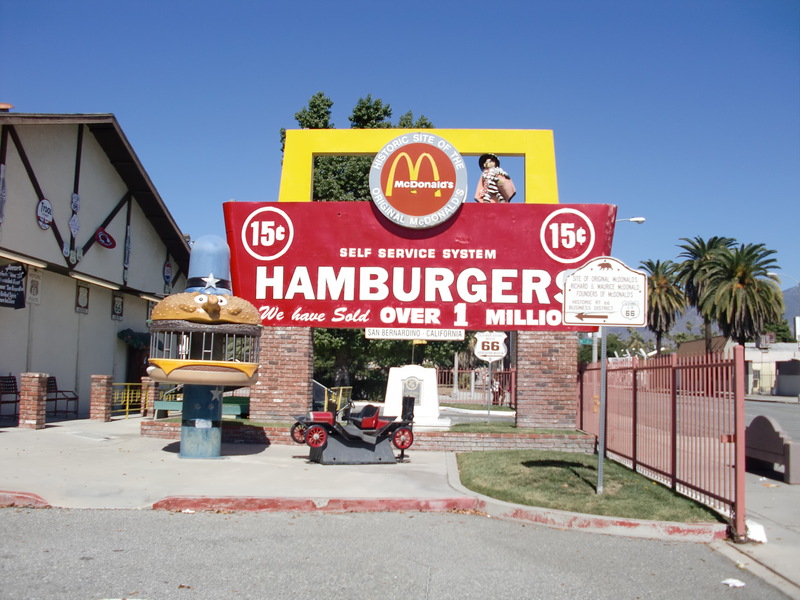 This is the original McDonalds site in San Bernardino; now turned into a museum, but not selling any food. 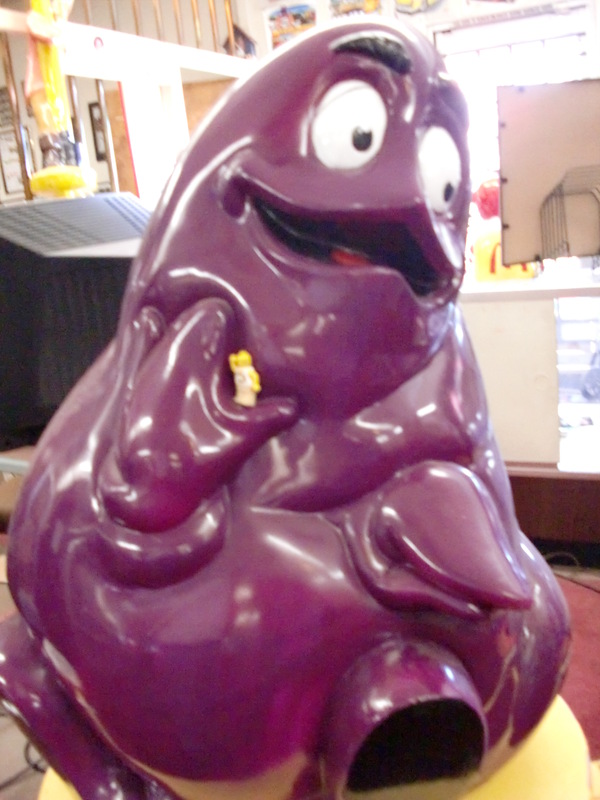 We enjoyed the company, but couldn’t find any of those 15¢ hamburgers. 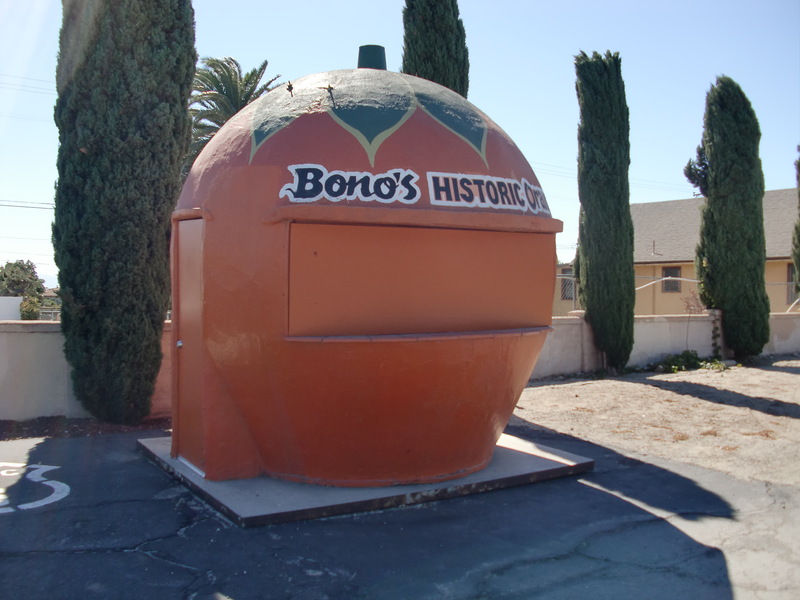 We stopped here but the place was too crowded inside. 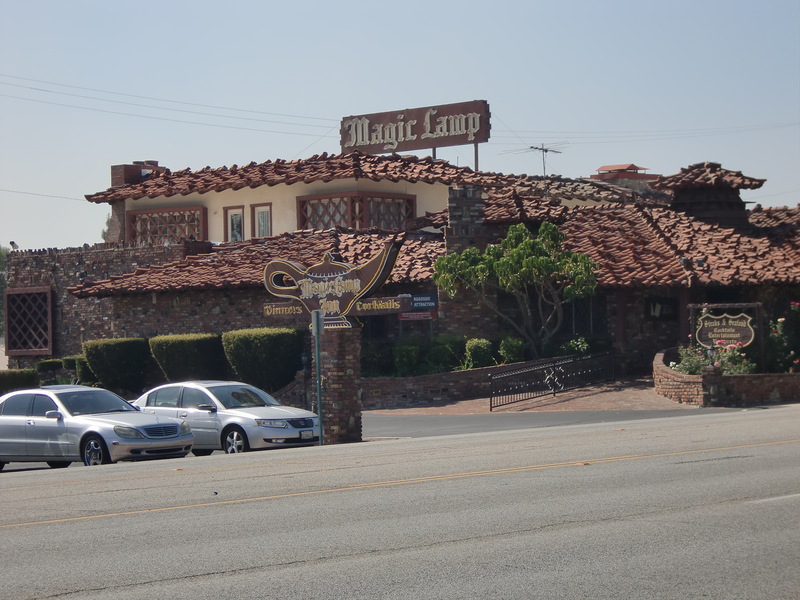 This place looked magical, but I think the roofers hit the hookah a few too many times. 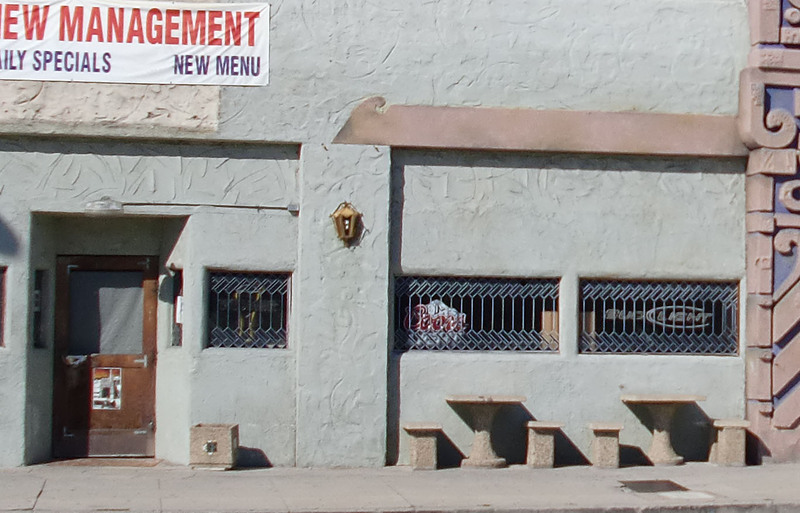 We settled for this hotel tavern with the outdoor seating firmly implanted in the wall. We shopped after eating the fine food. 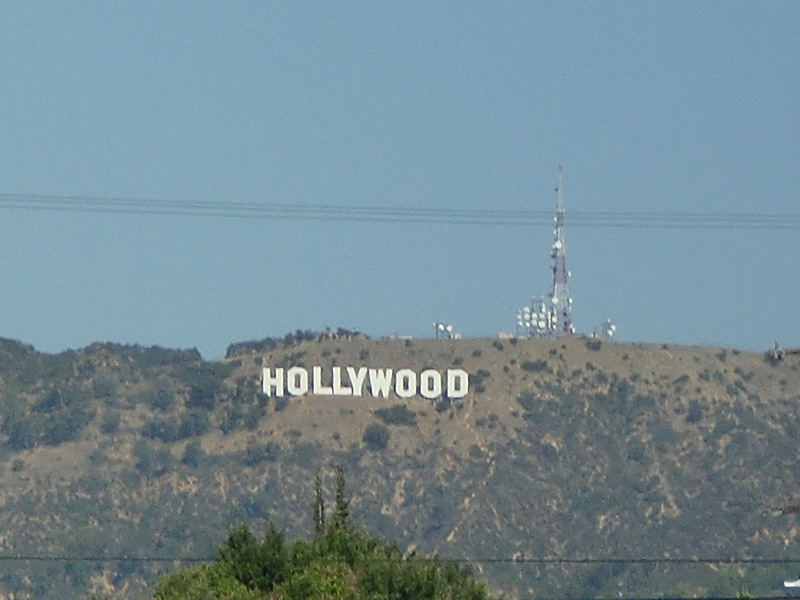 At last we made it to Hollywood. 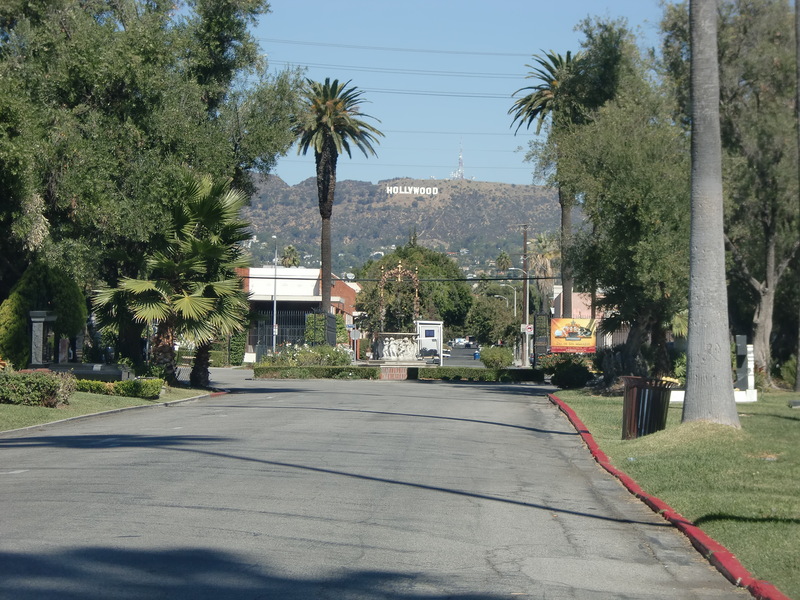 With all the sites to see, but little time, we had to find the highest priority: film studios, houses of the stars, Grauman’s Theater? What would we pick? 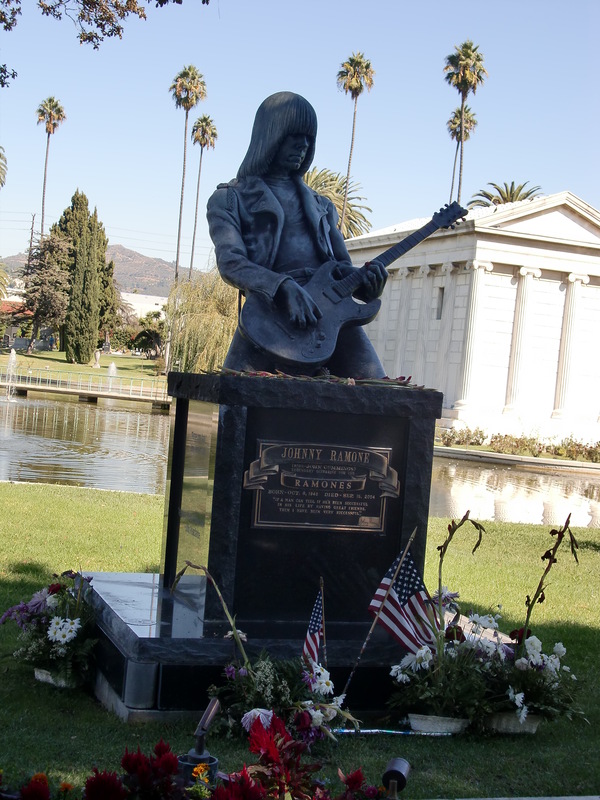 We only had time for one stop so we paused at the cemetery to pay homage to the late and great Johnny Ramone. 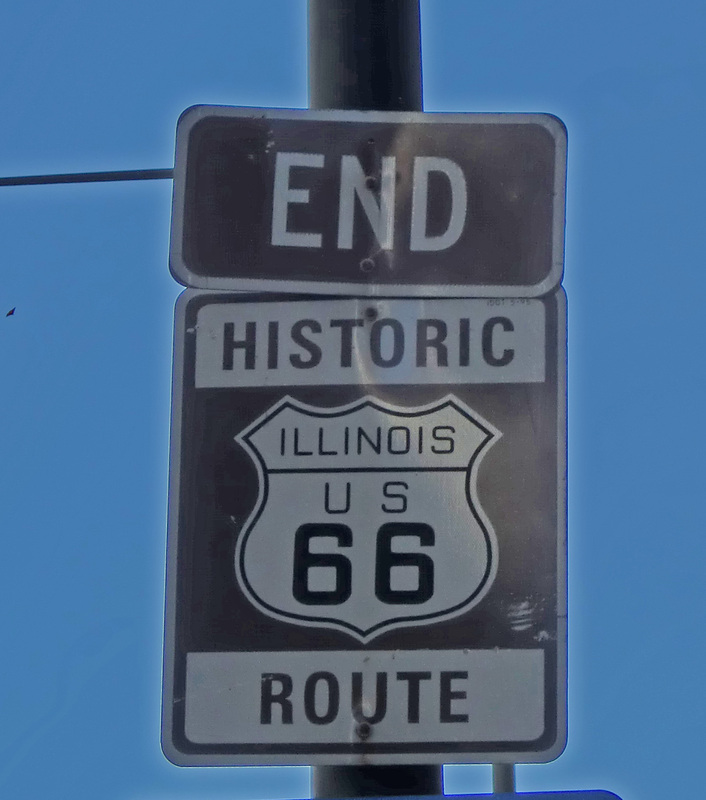 We wiped away our tears with a dirty black bandana and headed back to Route 66. And finally, the End of THE Road. 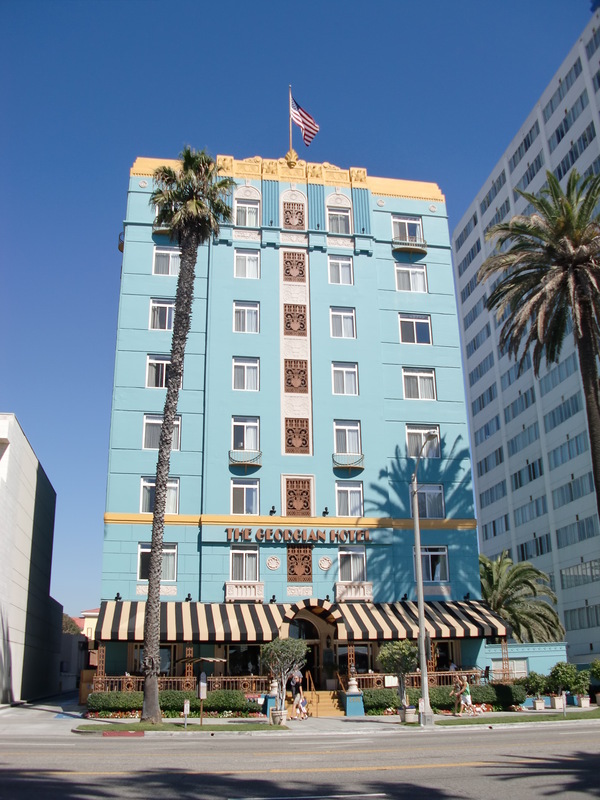 A fine hotel, and the Santa Monica Pier. 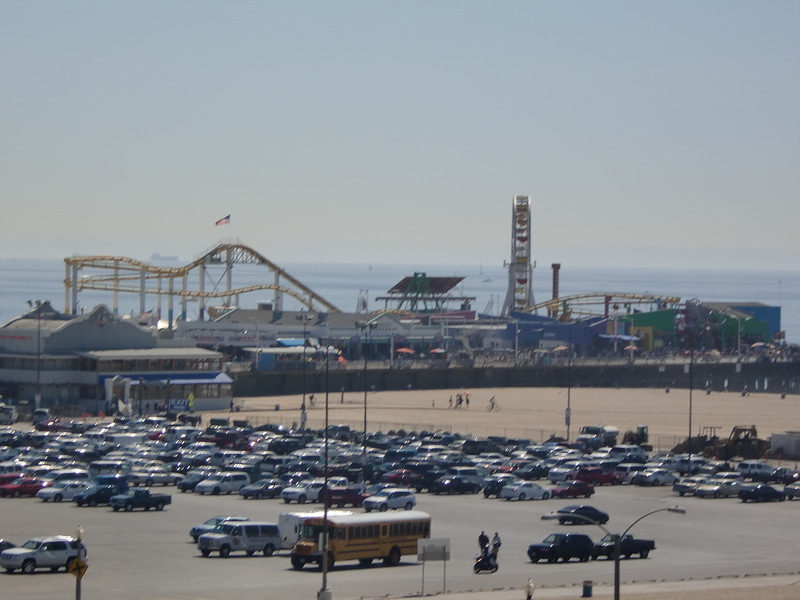 …and we ended with this one in Santa Monica. We may have picked up someone at that McDonalds back there. 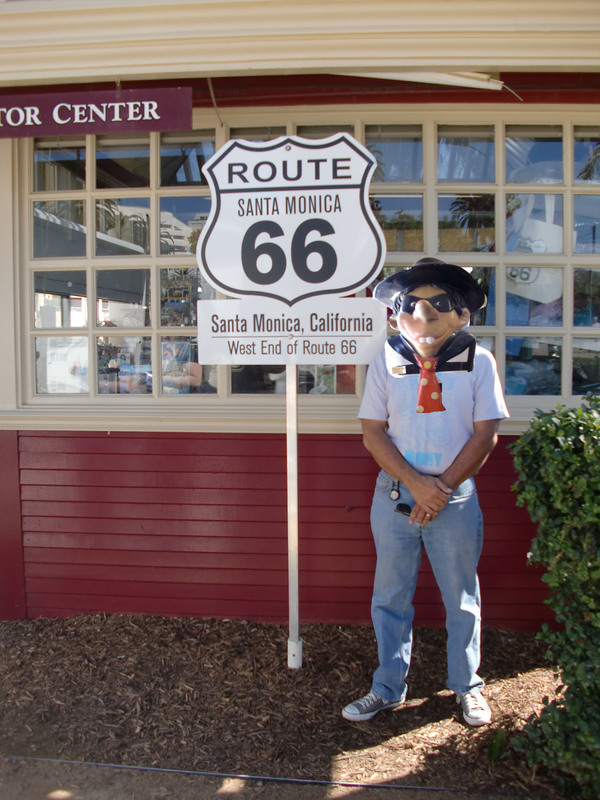 Bubba has finally completed his Route 66 trip, but he has picked up the travel bug and there is no stopping him now. Well, maybe a certain laziness in posting may delay him.